Home » india news » Are India’s poor being forcibly evicted because of Modi’s ‘Smart Cities’ project? Are India’s poor being forcibly evicted because of Modi’s ‘Smart Cities’ project? With an average of 150 “illegal” homes being destroyed by the government and its agencies daily, the issue of forced eviction and displacement has become a national crisis warranting immediate remedial measures. According to a study by advocacy group Housing and Land Rights Network (HLRN), over 50,000 houses across India were demolished in 2017 rendering at least 2.6 lakh people homeless. Prime Minister Narendra Modi’s much vaunted “100 smart cities” project being the major reason behind the forcible evictions. 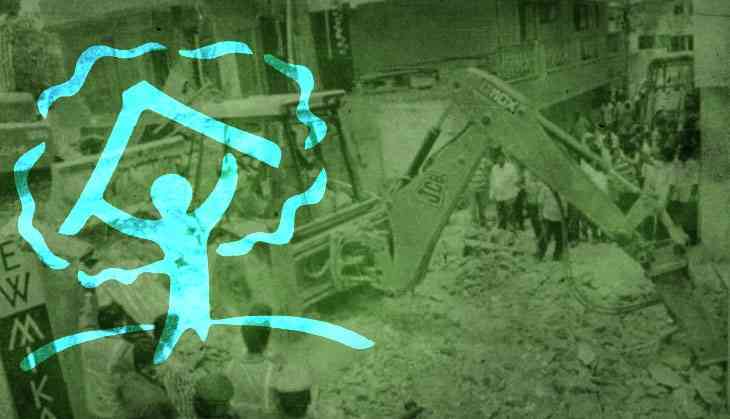 The HLRN study based on analysis of 213 cases of forcible eviction, reveals 53,700 homes were demolished across India by the government and its agencies. As per the study, interventions aimed at smart city and slum free projects, city beautification projects accounted for 46% or 99 cases of forcible evictions reported in 2017. The other reasons are infrastructure and ostensible development projects (25%), environmental conservation and wildlife and forest protection (14 %) and disaster management efforts (8 %). “The highest percentage of evictions affecting over 1.22 lakh people were carried out for slum clearance drives, slumfree city schemes, city beautification and smart city projects. The notion that beautification implies removing the poor from cities reflects an alarming prejudice and discrimination against the country’s most marginalised population,” said HLRN Executive Director Shivani Chaudhry. “The state demolished over 53,700 houses in 2017 which means an average 147 houses getting destroyed daily. This is only from the 213 cases of eviction that were reported. This is only a conservative estimate and the actual figures are bound to be alarming as many of the cases are not reported ,” she said. The study also reveals that in most cases of reported eviction, state authorities did not follow due process established by national and international standards. “In numerous the displaced are not resettled on the false grounds that they are not legal residents. Governments often use the exclusionary tool of eligibility criteria to determine whether an evicted family should be rehabilitated or not,” it said. Speaking on the occasion, former UN special rapporteur for housing. Miloon Kothari attributed indifference of the policy makers for the issue becoming a major crisis. “This has become a national crisis and the situation has come to this because of the indifference of the policy makers, indifference with conviction. They are convinced that they can get away, the notion of dispensability has taken hold in our country. “One of the reasons that our policy makers are able to get away with this scale of gross violation is because there is no punitive action against those responsible. There is no criminal liability, there is no prosecution,” he said. He also said that those raising their voices were being targeted by the government. “People who are resisting, human right defenders, who are mobilising people against these gross violations, are being targeted, threatened. We have the government implicating such people in false cases, they are being called terrorists, antinationals, charged with waging war against the country. “It’s not the people whom they call illegal rather it’s the state which is illegal,” he said. The study released in the national capital on Friday also reveals that at least 6 lakh people across India are living with the threat of forced eviction and displacement. Around 2 lakh people mostly scheduled caste and scheduled tribes in Telangana, Chhattishgarh and Odisha are threatened to be displaced by the construction of the Polavaram Dam on Godavari. Around 70,000 people face threat of eviction in Sipajhar village in Assam over alleged encroachment of grazing land, while more than 20,000 people are likely to be displaced by the Vizhinjam International deepwater Multipurpose seaport in Kerala. An estimated 50,000 people are face threat of displacement by the construction of Dighi Industrial Port along the DelhiMumbai industrial corridor. Around 42,000 familes in Madhya Pradesh, 500 familes in Maharashtra, and 200 families in Gujarat living under the threat of displacement from the Sardar Sarovar project on Narmada river. The HLRN also proposed the central and state governments certain recommendations to deal with the crisis. Immediately recognise and uphold the human right to adequate housing of all, which includes security of tenure and the right to freedom from forced evictions. Adopt UN standards for ‘adequate housing’ in all new housing, in situ (on site) upgrading, and redevelopment projects. Take immediate measures toward restitution of human rights of affected persons by providing adequate rehabilitation and compensation; restoring homes, livelihoods, basic services, and education; and enabling return to original sites of residence, where possible. Investigate incidents of forced eviction and take punitive action against those found guilty of violating the law and human rights. Invest adequately in lowcost housing, with a focus on social rental housing. Prioritize participatory and human rightsbased in situ upgrading of housing. Ensure that evicted, displaced, and homeless/landless families are considered for priority housing under Pradhan Mantri Awas Yojana/Housing for All–2022. Ensure that the free and prior informed consent of all affected persons is taken before any eviction/relocation/redevelopment/upgrading project is finalised. Carry out a human rightsbased ‘eviction impact assessment,’ consistent with national and international law, prior to the implementation of any project. Incorporate a human rights and social justice approach for the implementation of all schemes related to housing, including PMAY, Smart Cities Mission, and the Atal Mission for Rejuvenation and Urban Transformation, and prevent evictions and violations of human rights. Implement laws and court judgments upholding the right to housing, and incorporate international guidelines, including the UN Basic Principles and Guidelines on Development based Evictions and Displacement, into national and state laws and policies. Implement recommendations of all UN human rights bodies, including those made by the UN Special Rapporteur on Adequate Housing in her mission to India report, particularly the recommendation for a moratorium on forced evictions and demolitions of homes in India. Implement recommendations made to India during its third Universal Periodic Review, especially the three recommendations related to providing adequate housing for all.